Saturday, I cleaned up the square where I previously planted the four Fun Jen Bok Choy that was attacked by some digging critter. In its place, I planted four Red Winter Kale plants and placed wire edging around it to try to deter whatever critter did the digging last time. 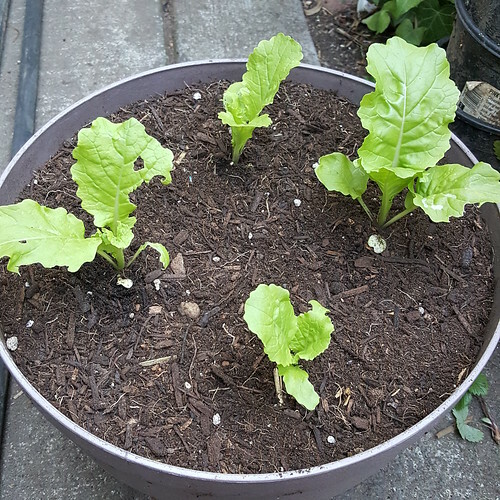 I then decided not to plant some of the other Fen Jen Bok Choy in the square foot garden bed and planted four in a large Daiso pot. The Tricolor Hydrangea that I recently purchased looked like it need to be potted up, so I did that, placing it in a 3-4 gallon pot. I also moved it over to a more shaded area. 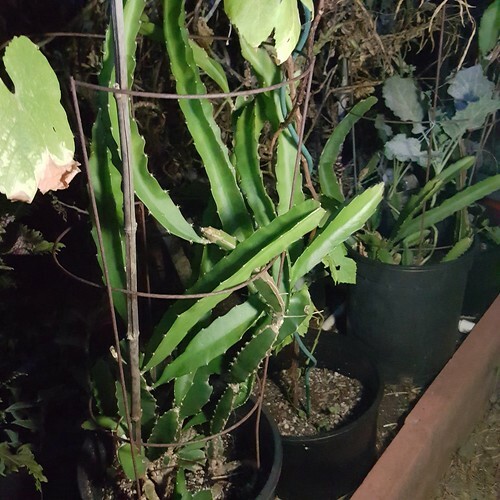 My Aunt and Cousins came over and I gave them some Red Giant Mustard and a cutting from both my Santa Barbara Red Dragonfruit and the Dragonfruit that I grew many years ago. Now that I see my old Dragonfruit plant getting bigger and bigger, I really need to figure out where to plant them. 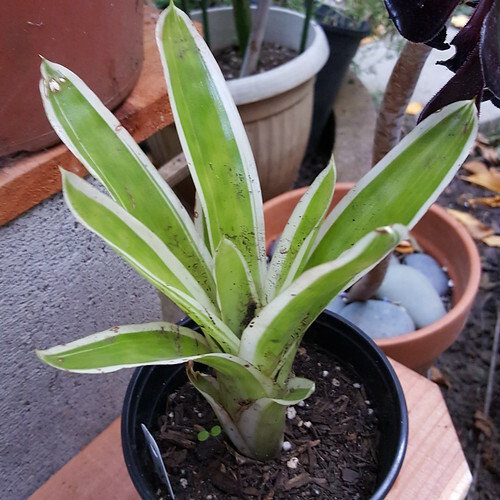 I initially thought of planting it by a pole in the front yard, but I noticed the Santa Barbara Dragonfruit in that area gets too much sun and is getting bleached out, so I need to fine a more shaded location. As I was cleaning an area under our Bosc Pear tree, I noticed a multi-stem succulent that was growing there, it started rooting but was still able to pull it up. 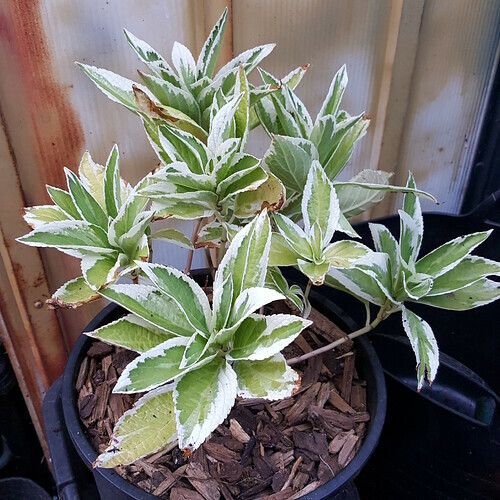 I thought it would look nice if it were properly planted into a pot and given more light. So I planted it into a 3 gallon pot. 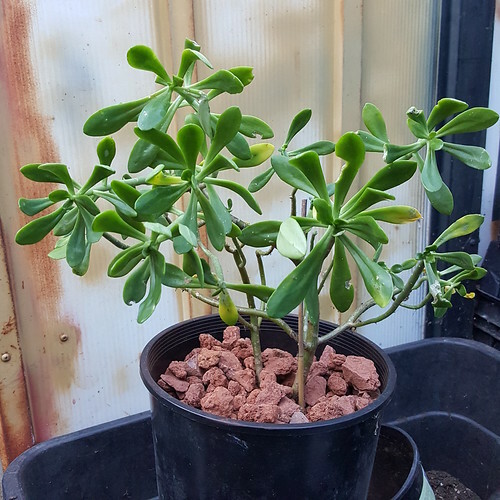 I didn’t know what it was, so I posted a query with a photo of it to Flickr and Instagram and some responded that it was a Sedum praealtum. 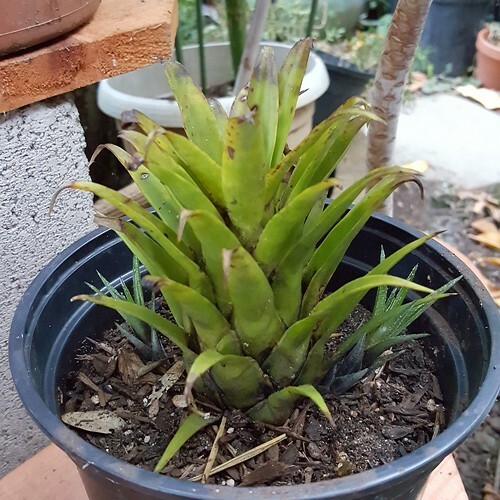 I noticed that the Bromeliads that I purchased back in June (2016) are doing well. The Aechmea recurvata of them actually has two pups now. 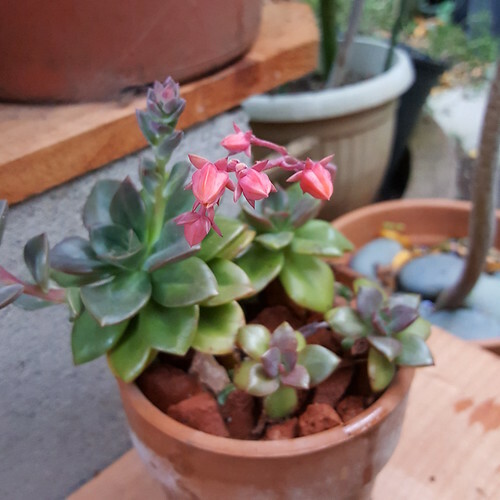 I moved the Echeveria ‘Chroma’ from the front yard where I thought I may get attached by slugs and snails to the back to join all my other succulents. I took six cuttings from a broken Iresine branch and also potted up a little Spearmint cutting. 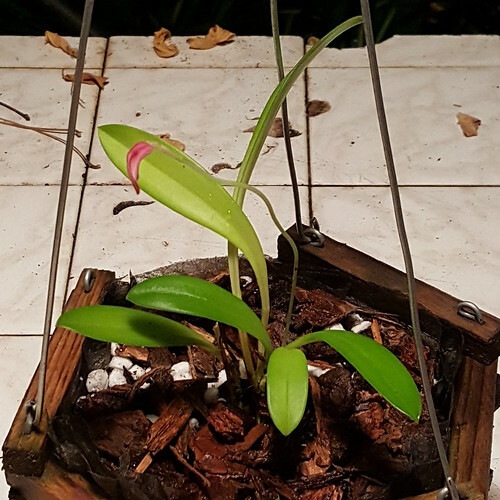 It was already dark Sunday evening and I ended my gardening by potting up a Masdevallia barlaeana ‘Harold’ that was still in a 2-inch pot into a hanging Orchid basket. This morning, I woke up early (for a Saturday). I was looking forward to going to the nursery to see if they had any Cabbage and Lettuce plants. I first went to Walmart and checked the garden center and found a couple of succulents that I liked. One was a Rock Purslane (Calandrinia spectabilis) that I’ve been looking for for a while now. Who knew that out of all places, Walmart would have it. The second was Pachysedum ‘Ganzhou’ which had a cool color. I’ve been checked the vegetable section and found a 9-pack of Bonnie’s Best Cabbage and Buttercrunch Lettuce. The owner came up to me and ask if I needed any help. So I asked him why my Kumquat plant has dying branches. He asked if I had it in the ground or in a pot I replied in a pot and he said maybe its not getting enough water. So I’m hoping that his explanation was correct and that my Kumquat doesn’t have a disease. 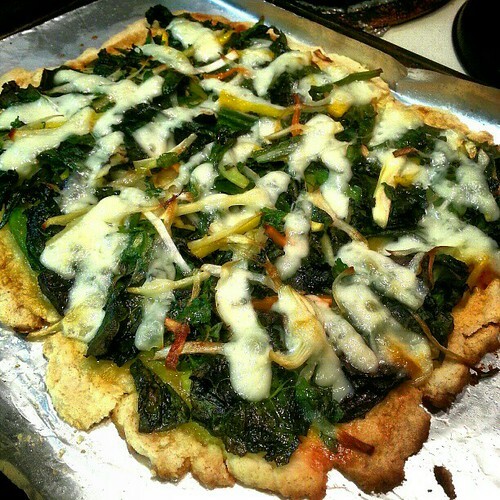 When I got home, I decided to pull out the Zucchini plants because they were not doing well and it didn’t look like they would produce any more fruits. In its place, I planted Portuguese Kale. 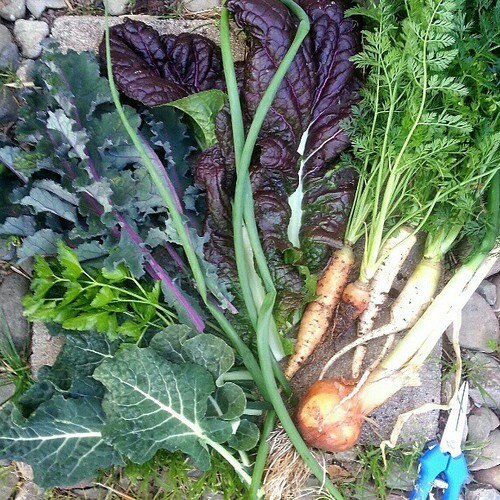 I also pulled what pot of Swiss Chard that were also not doing well. 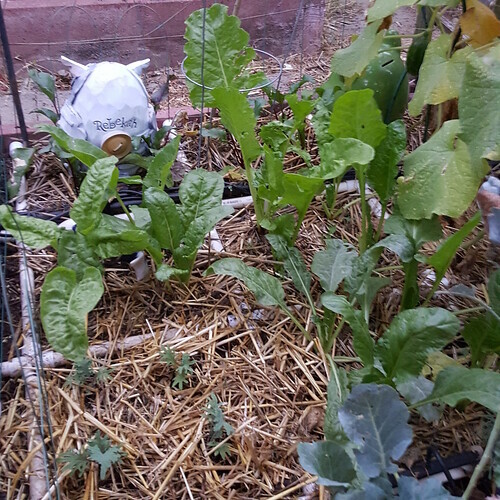 I added new compost and planted 6 Buttercrunch Lettuce plants. 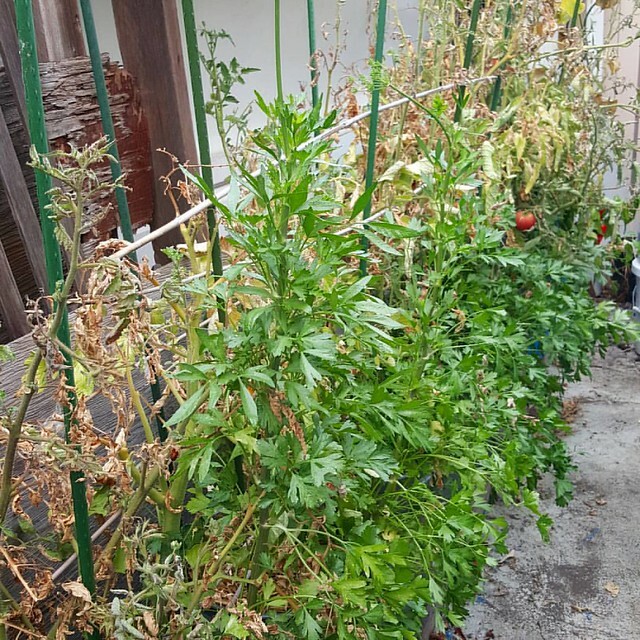 I also pulled all my Tomatoes in the Self Watering Rain Gutter Grow System #2. I planted the new Cabbage into each pot. In the Square Foot Garden, I planted 2 squares of the Walla Walla Sweet Onions. 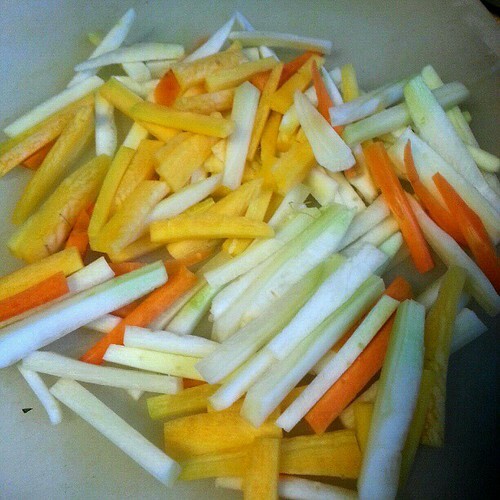 It’s been a long time since I harvested Carrots. 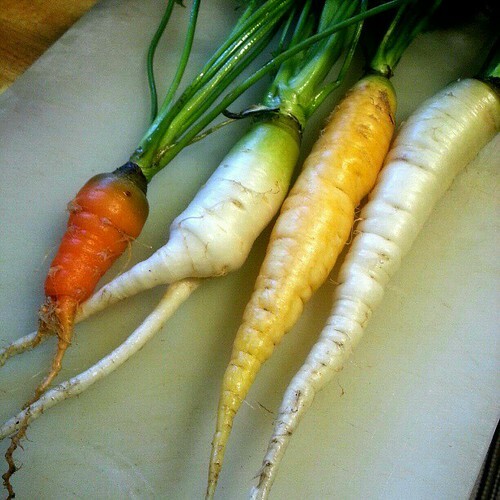 They took a long time to grow and there wasn’t many, but you don’t find much white and yellow Carrots at the grocery. 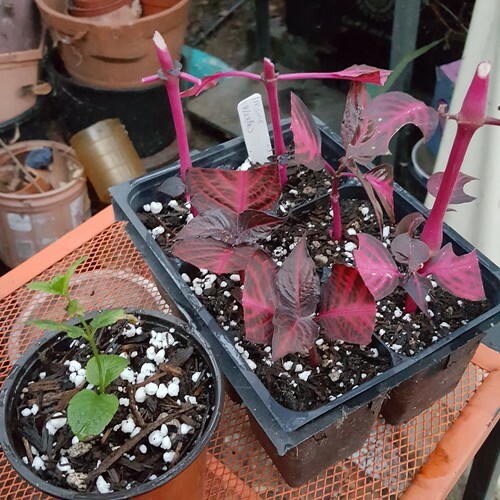 I want to grow more of the non-orange ones, especially the purple ones. 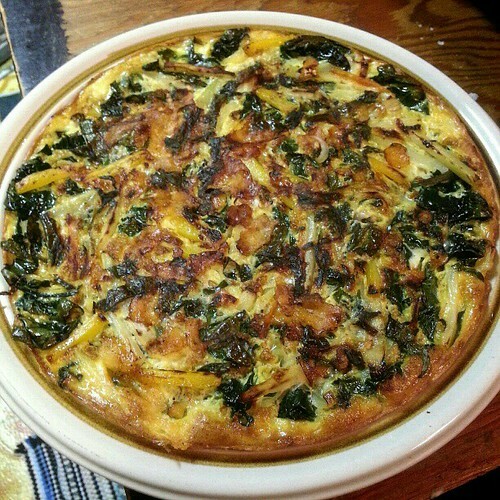 and had so much vegetables left over that I made, so I also made a Veggie Frittata. 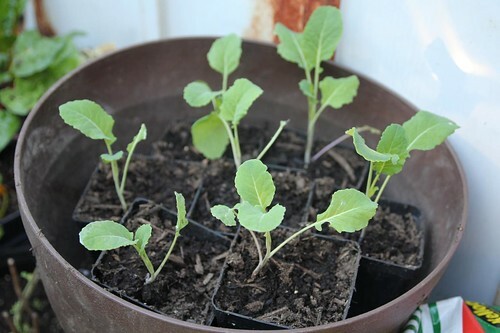 I divided more of the Portuguese Kale (from a crowded cell pack) and potted about seven of them into 3″ pots. There are still a bunch in the cell pack. They sure planted a lot of seeds. 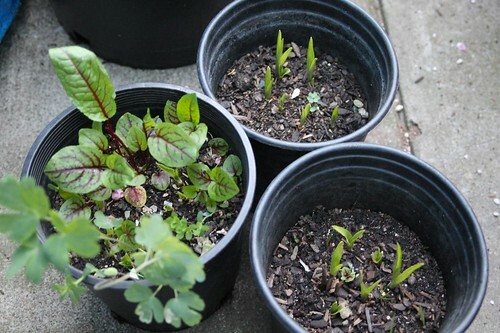 I didn’t know where to plant the three Asparagus crowns I bought a month or two ago… so I temporarily placed them into a small pot with soil. 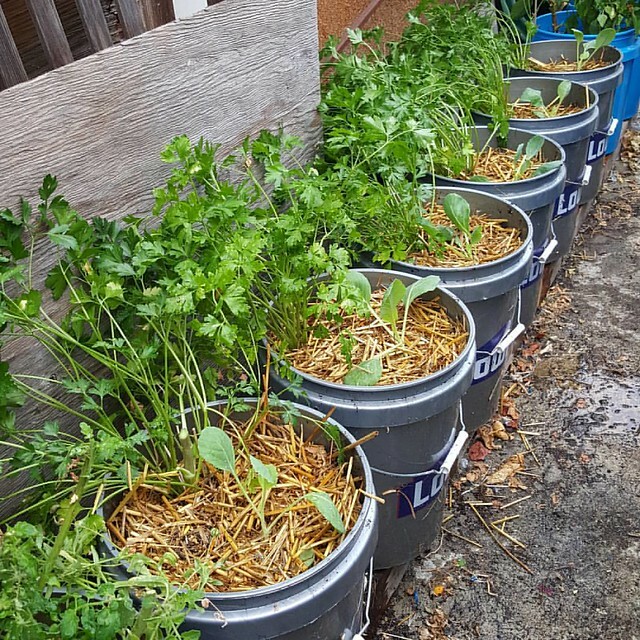 They started sprouting and are getting tall, so I potted each one into a separate 5 gallon pot with lots of manure, compost, fertilizer and Azomite. I left about two inches at the top of the pot and will fill it in with more compost later. 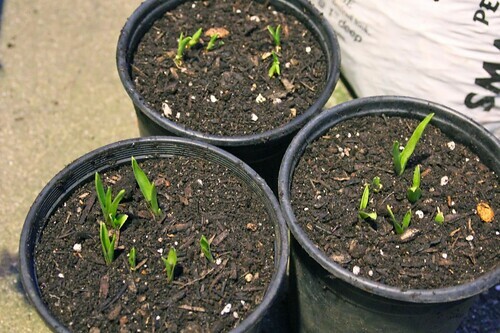 My Mom says that her Tuberose has never bloomed, so I am going to repot them and give them a good supply for organic fertilizer, compost and Azomite. Hopefully they will bloom for the first time this year! 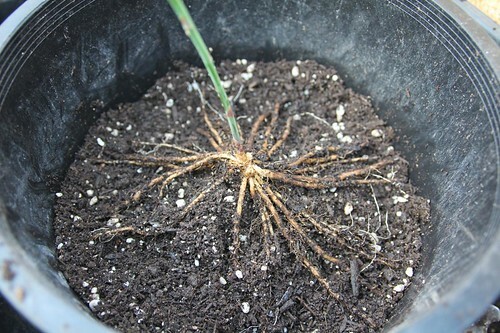 There were a bunch of Bloody Dock seedling volunteers in the Tuberose pot. 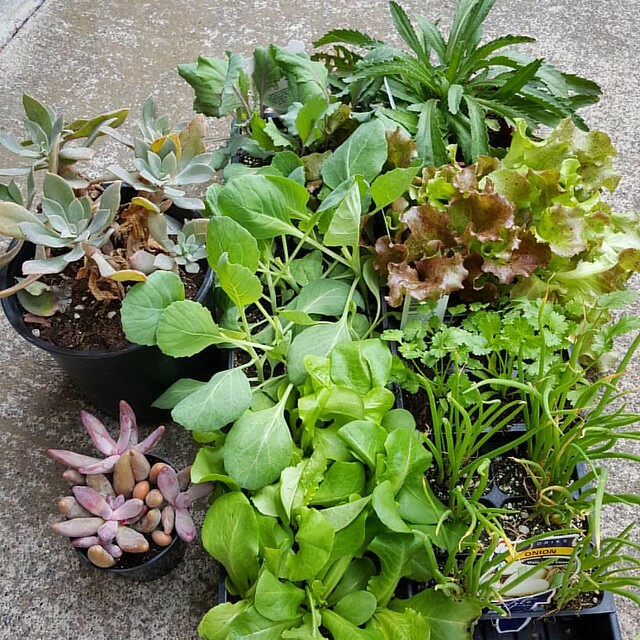 I’ll divide them up and plant them in individual containers. 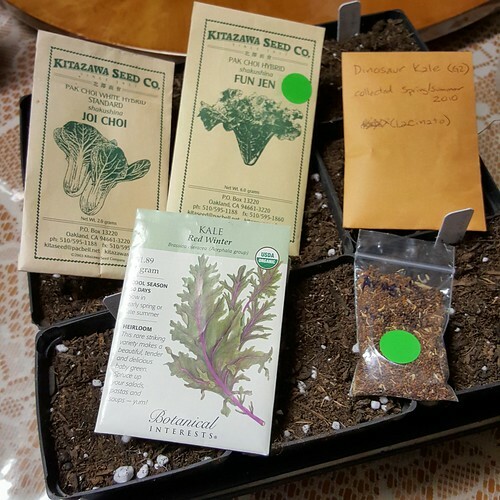 I think I will donate some to the Vallejo Garden Club. 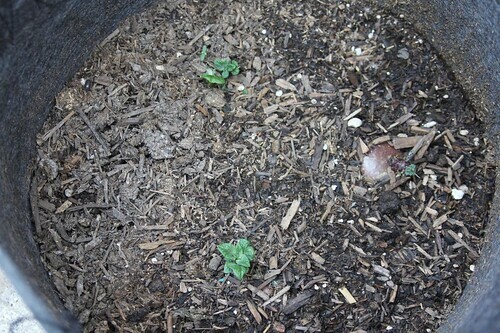 I didn’t think the Red Potatoes were going to sprout, but today I saw that they are starting. 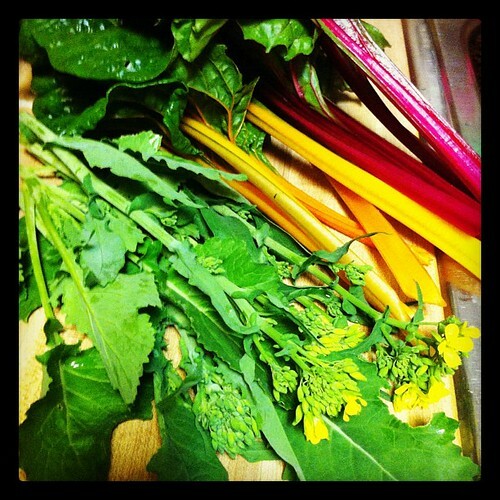 Finally, I harvested more Red Giant Mustard and Swiss Chard. We seem to have a neverending supply of them (pretty good for a 6 cell pack). 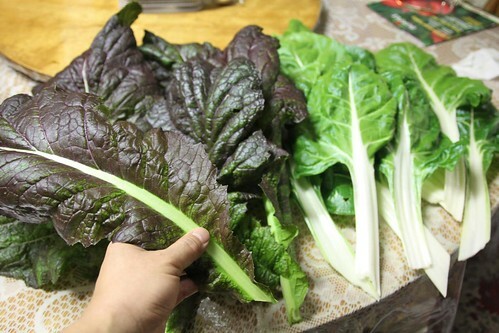 I then went around the garden and picked a bunch of greens!! 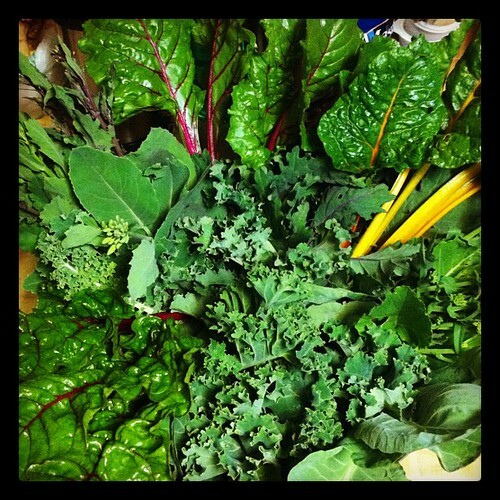 !… Mostly from the front yard, but also got some Kale from the back. 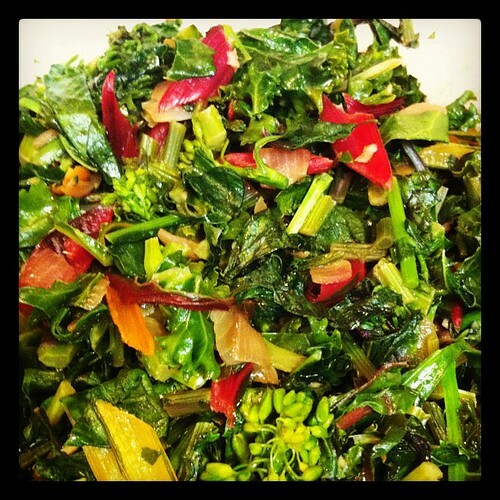 The greens include: Collards, Curly Leaf Kale, Dwarf Blue Curled Kale, Red Russian Kale, Redbor (G2) Kale, Kailaan, Broccoli Raab, Bright Lights Swiss Chard and Beet greens. Click the photo above to see the annotations on Flickr. I chopped then up and sautéed them with Onions, Garlic and olive Oil with a touch of Chicken Stock, Salt and Pepper… and they turned out so good!